Yes. I am sure you care about your partner, but how do you show it? Do you or your partner currently consume alcoholic beverages at least once a month? If you answered yes to the above questions, you and your spouse are eligible to participate in a research survey regarding the relationship between your marriage and your alcohol-related help seeking behaviors. When you both complete the survey, you will each be entered into a raffle for one of four $50 Amazon.com gift cards! This study has been approved by the Clark Committee for the Rights of Human Participants in Research and Training Programs (IRB). Any questions about human rights issues should be directed to the IRB Chair, Dr. James P. Elliott, 508-793-7152, jelliott@clarku.edu. 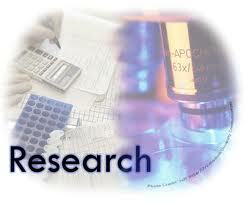 The study is being conducted by C.J. Fleming, M.A. and James Cordova, Ph.D. in the Psychology Department at Clark University. Please feel free to contact the researcher (alcoholusesurveyemail@gmail.com) or the research supervisor ( jcordova@clarku.edu ) with any questions or concerns. Your mood dictates your posture and vice versa. You can’t change your mood instantly but can alter your posture to get to the mood you want. Let’s give it a try: take a deep breath, hold your head up, walk with purpose. Let’s make this a great week! Good Morning, this is your day. Show up!